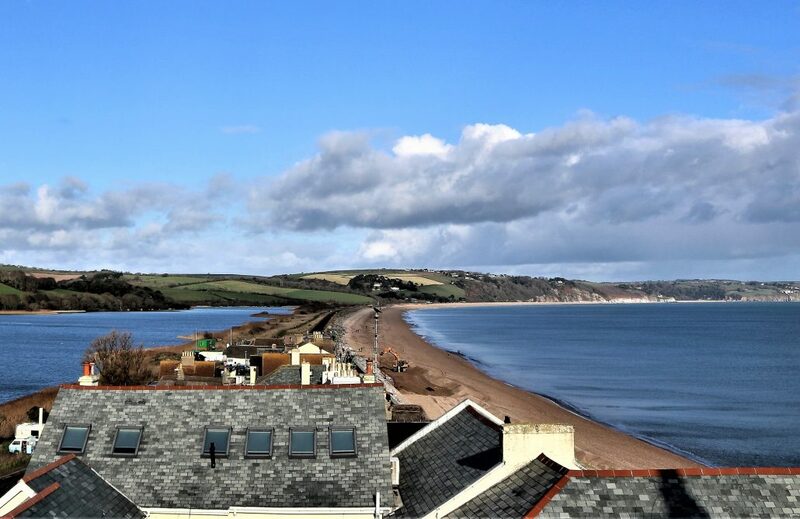 Why spend hours in the car when you can you can relax in your holiday home and within just a few minutes you will find several pretty beaches, seaside walks, great pub and cafe food, wonderful views, a slice of history, and sea and coastal activities so close to your doorstep? 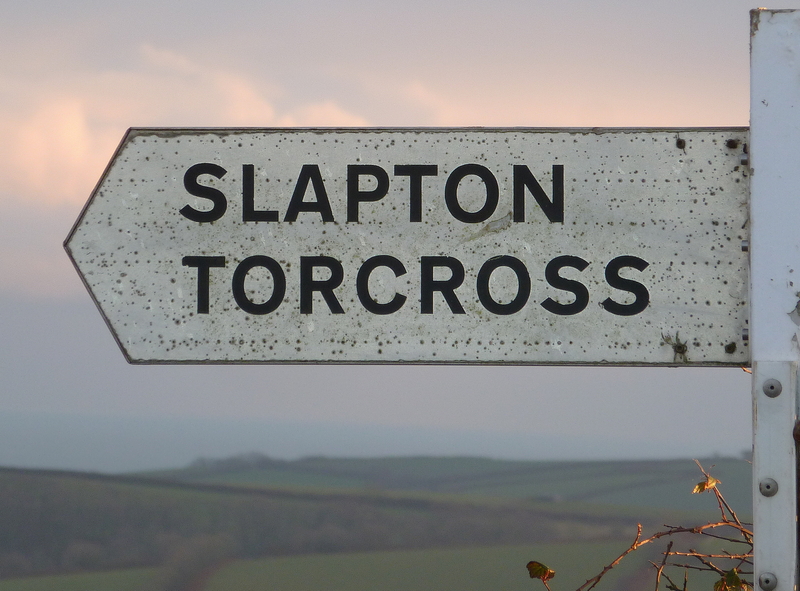 To explore what’s local why not enjoy a car free day and walk from Dittiscombe to Slapton Village (1½ miles) and a further ½ mile to Slapton Sands beach. 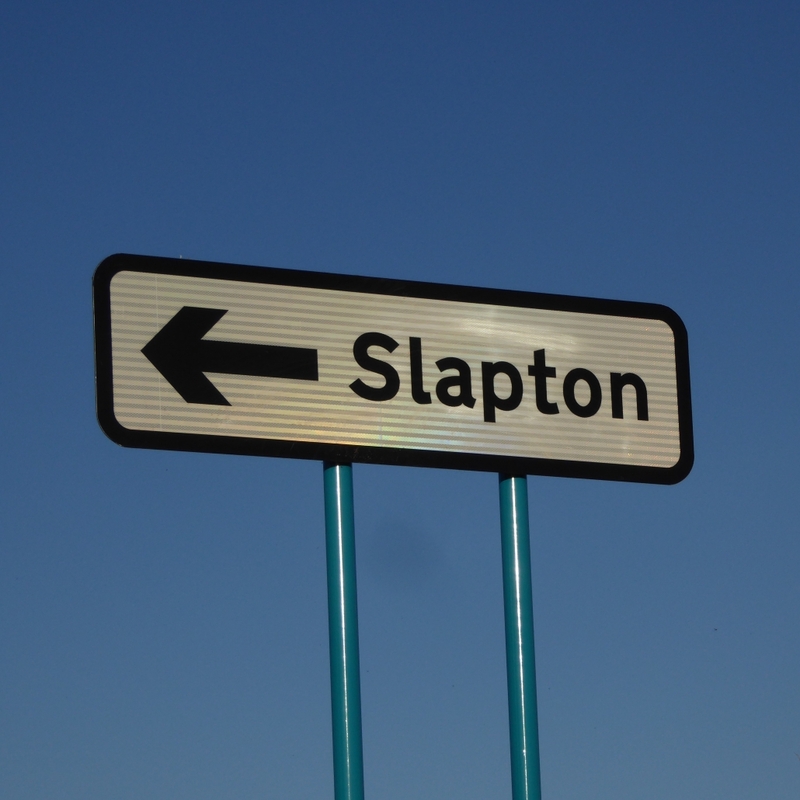 You will find the walking instructions here, and the map here. 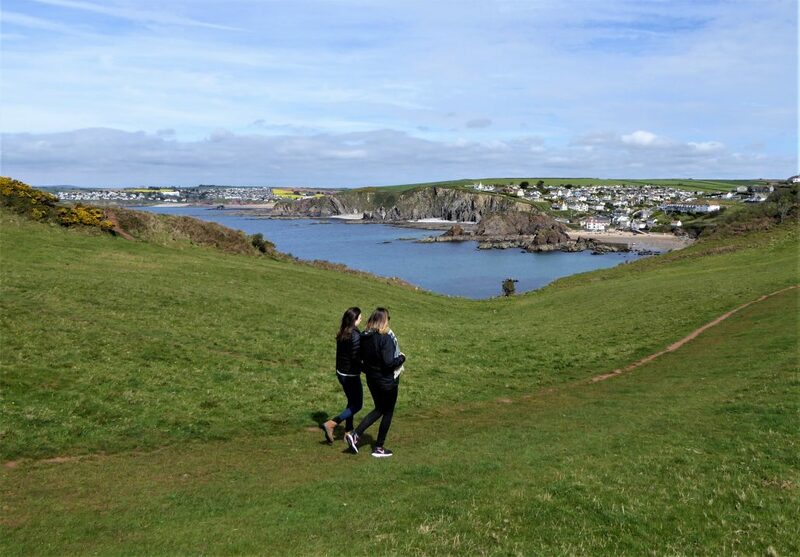 When you arrive at the sea you can join the South West Coast Path and view the spectacular coastline of Start Bay which stretches from Blackpool Sands to Start Point Lighthouse. 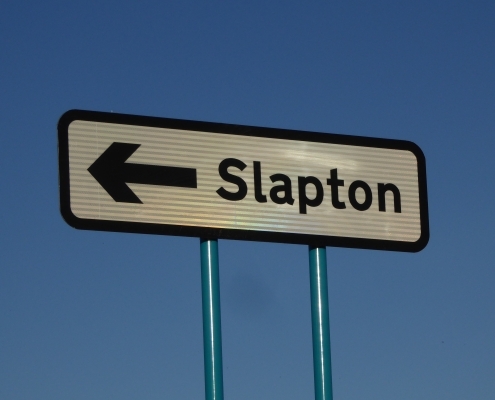 Several small villages invite you to stop off along the way. 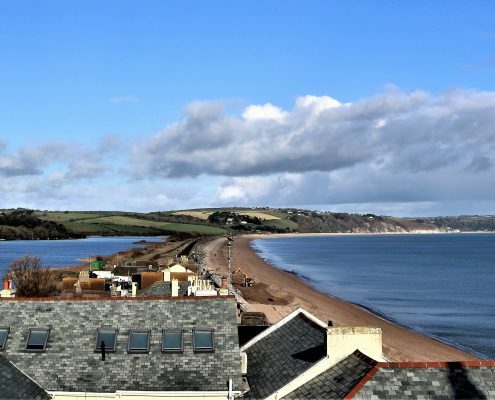 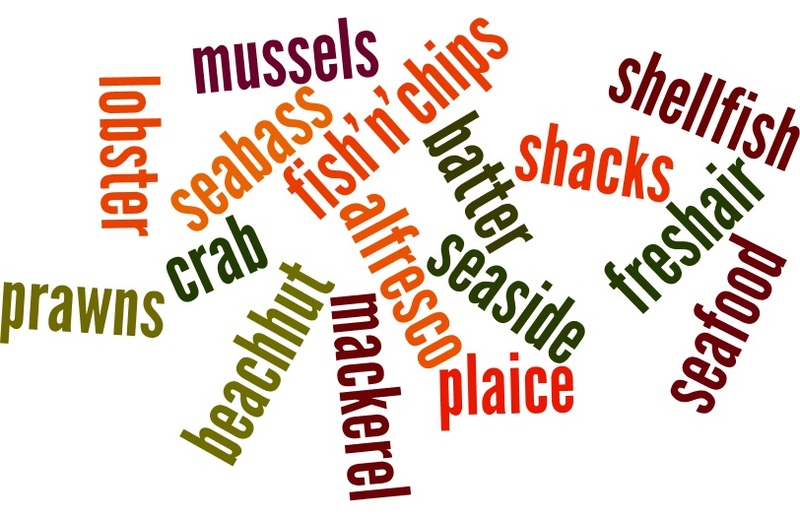 For instance at Torcross you can pick up a cream tea at the beachside Sea Breeze Cafe or a plate of the finest fish and chips at the award-winning Start Bay Inn ; take a guided tour of Start Point Lighthouse, or read the Hallsands village storyboard. 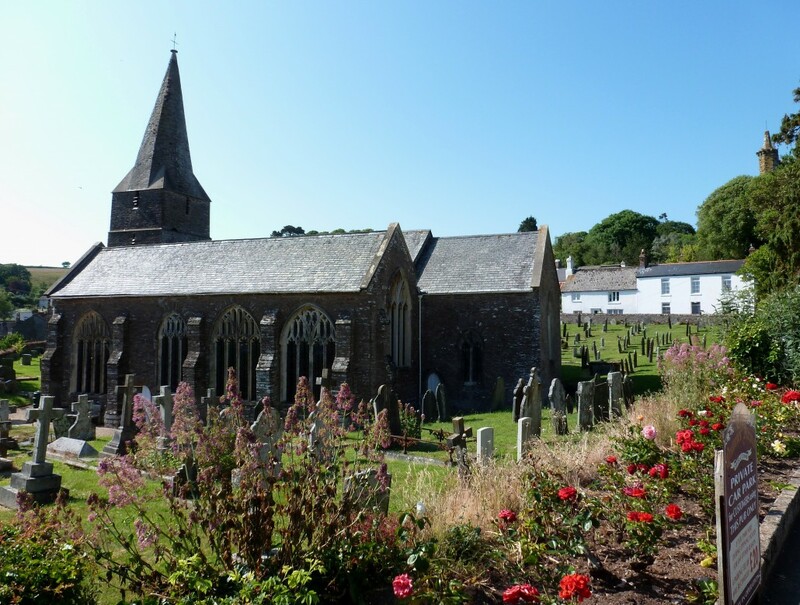 Slapton is a typical South Hams village, filled with old cottages, sunken, winding lanes (drivers take note), ancient walls, and yes roses round the doors. 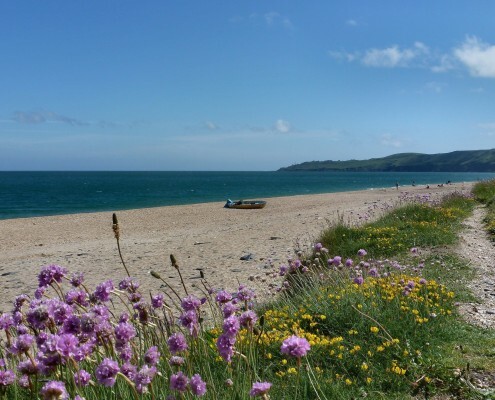 Located just ½ mile from the sea and on the doorstep of one of England’s most important scientific freshwater lagoons, you will find Slapton a special place. 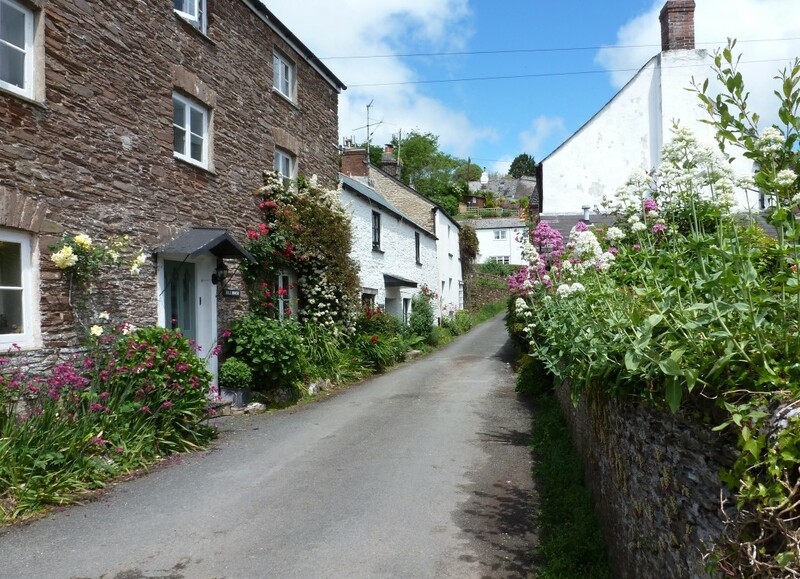 There is much to recommend the village. 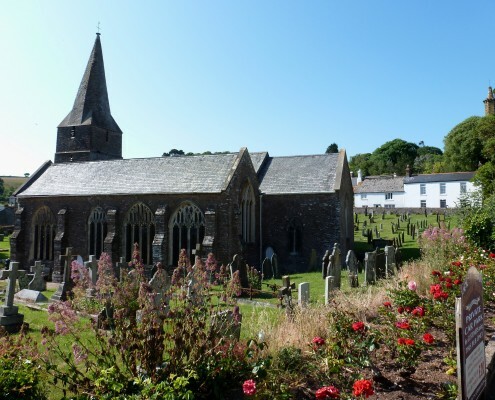 Its 13th Century Monastic Tower and quaint and peaceful ambience belies its history of army occupation during the D-Day landing practices of the Second World War. 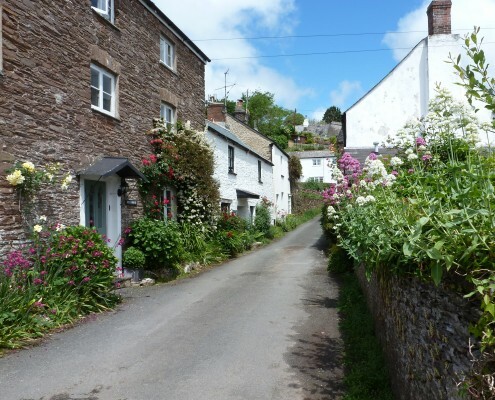 If you visit either the Tower Inn or The Queens Arms pubs you can immerse yourself in the history of this period with books, pamphlets and photographs whilst sitting around the log fires. 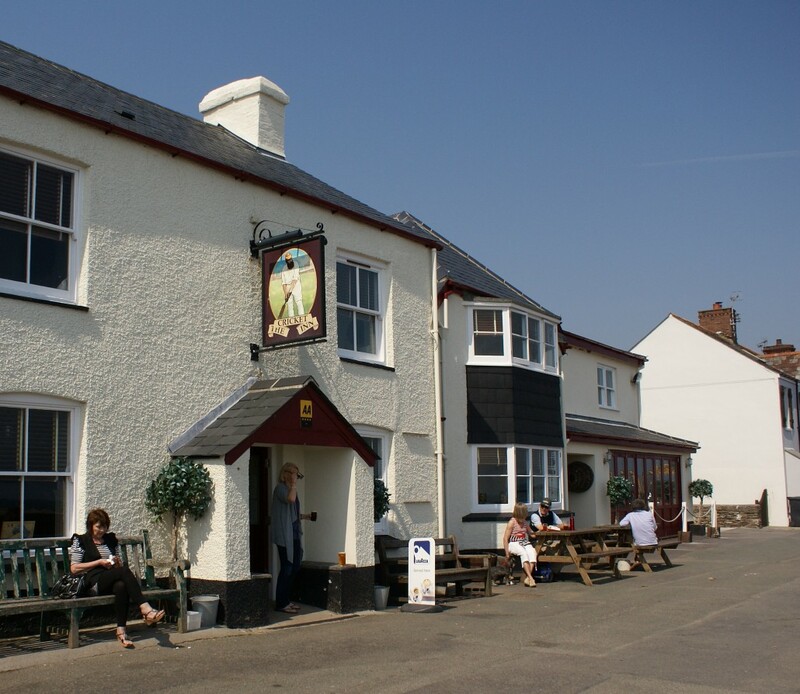 Both pubs also serve excellent, locally produced menus and welcome dogs too, and many of our returning guests go to both pubs at least once during their stay here. 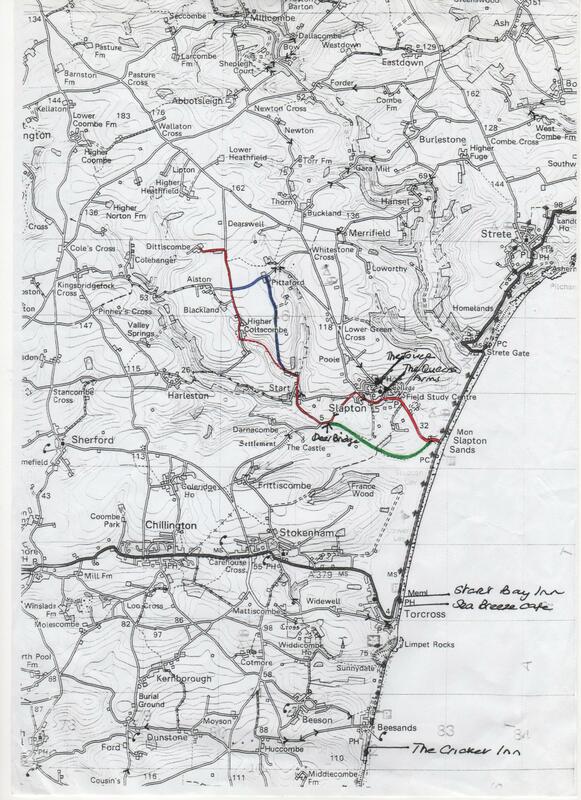 Find out more about Slapton’s experiences of evacuation during WW2 on Ruth’s Blog. 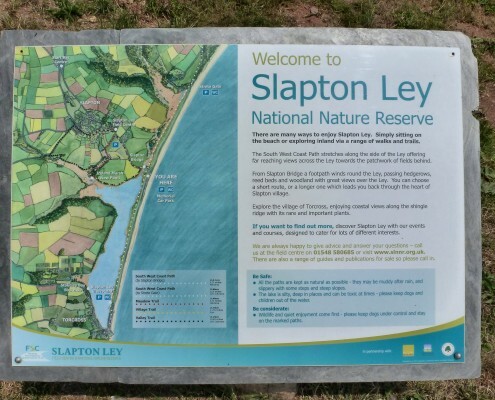 But what sets Slapton apart from any other of the area is its proximity to Slapton Ley National Nature Reserve. 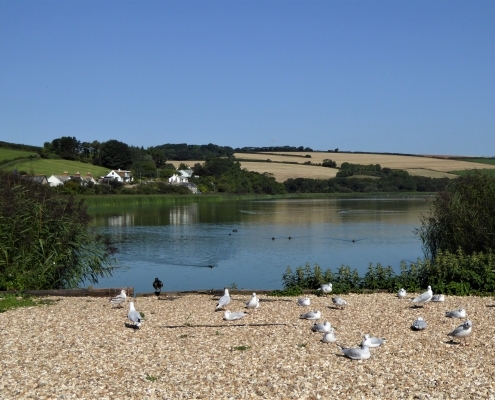 This vast freshwater lagoon sits behind a shingle bar, protected from the salty water of the sea and is of national scientific importance, managed by Slapton Field Study Centre located in the centre of the village. 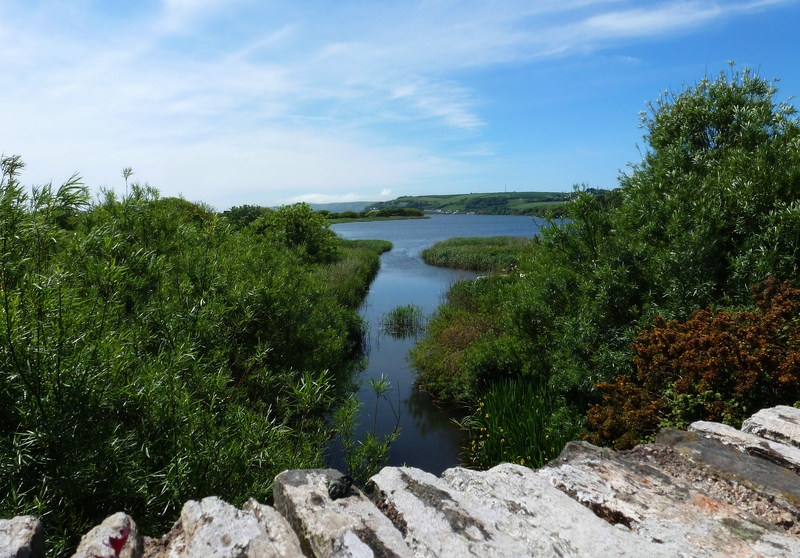 This is a great wildlife watching area, and the Field Study Centre offer coastal walks, bird, bat and badger days, guided tours and nature safaris in and around the area. 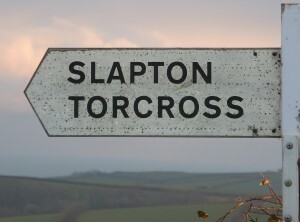 Nearby the small village of Torcross is well worth a visit. 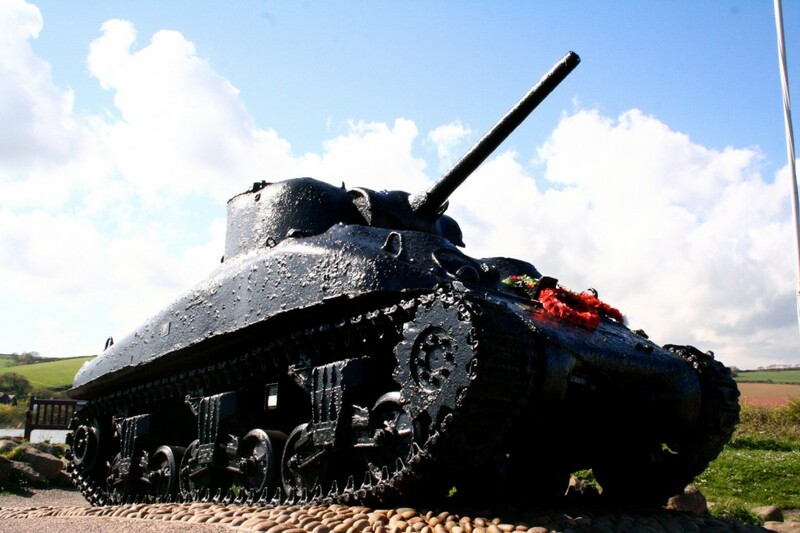 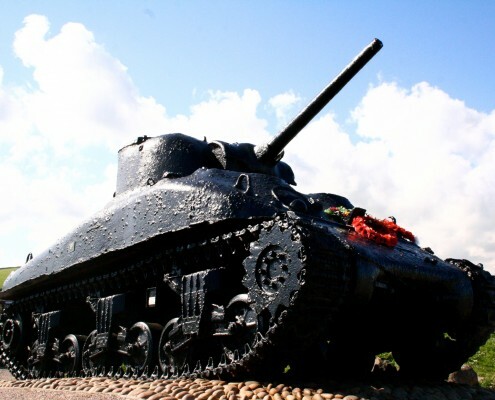 A Sherman Tank , dredged from the seabed a few years ago, provides a fitting memorial to the men who lost their lives in the tragic events. 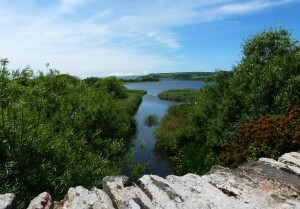 Here you will also find a seats next to the freshwater Ley where you can feed the ducks and wildfowl, and there are two cafes, a pub and a shop. 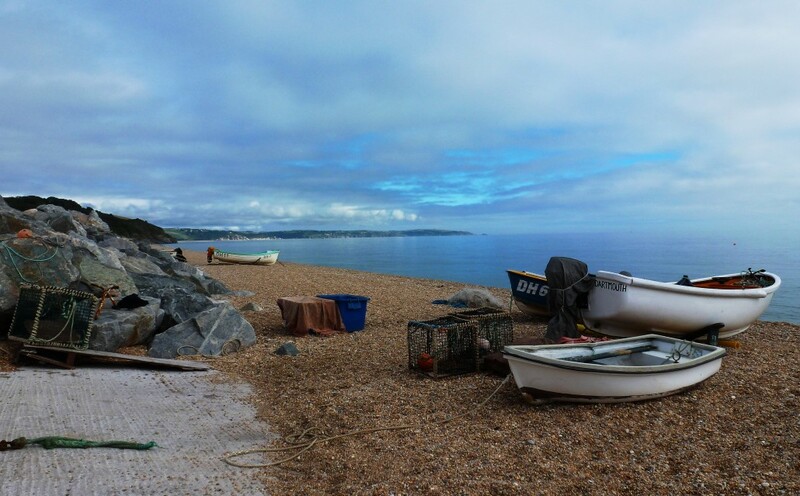 A little further along the coast path Beesands and Hallsands both sit close to the water’s edge although Hallsands was just a little too close for comfort as in 1917 over thirty homes fell into the sea due to dredging which took place out in the bay and following a teriffic storm. 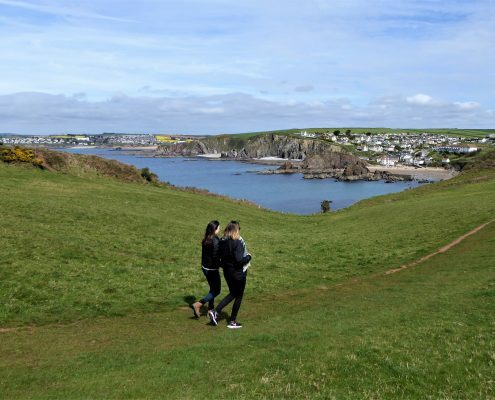 You’ll find a visitor information plaque on the coast path which tells the story. 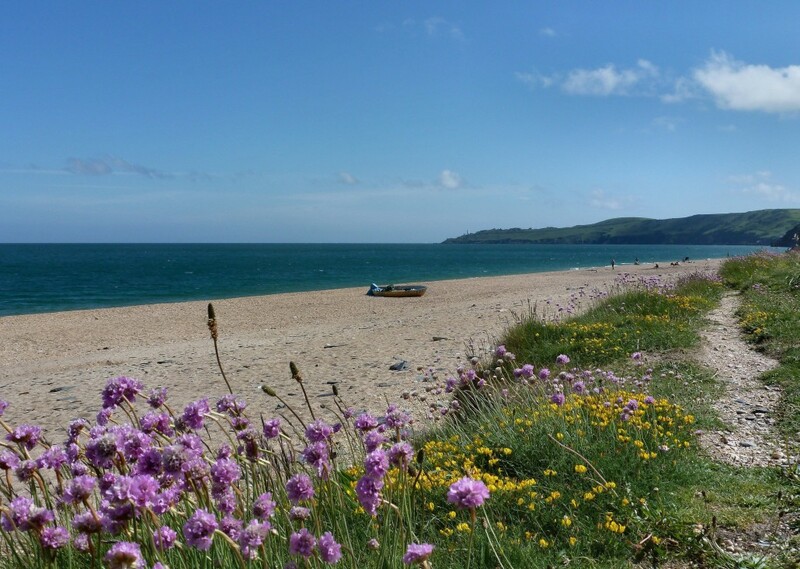 Beesands is fortunately still a thriving small village with a football pitch, small children’s play area, free car parking, a great stretch of unspoilt beach suitable for swimming and beach fishing, and an adder conservation area! 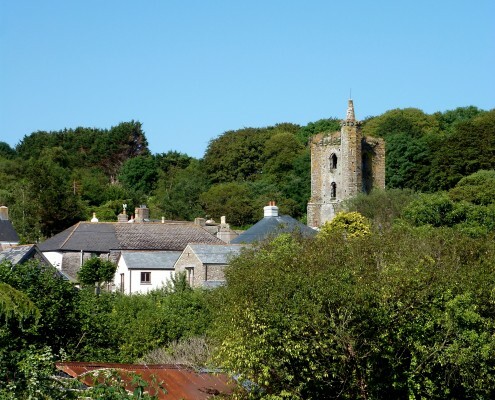 The Cricket Inn pub and Britannia@thebeach cafe both look out to sea and towards the lighthouse at Start Point and serve excellent fish menus, cream teas and ice creams all year round. 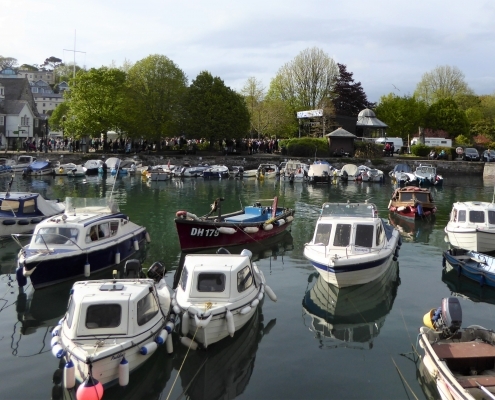 The thriving and bustling market towns of Kingsbridge and Totnes are well worth a visit, and the coastal and estuary towns of Dartmouth and Salcombe with their colourful shops and gentle waterways make for a relaxing day by the water. We enjoyed a lovely meal at The Tower Inn – dog friendly and they were able to accommodate my wife who has a special diet. 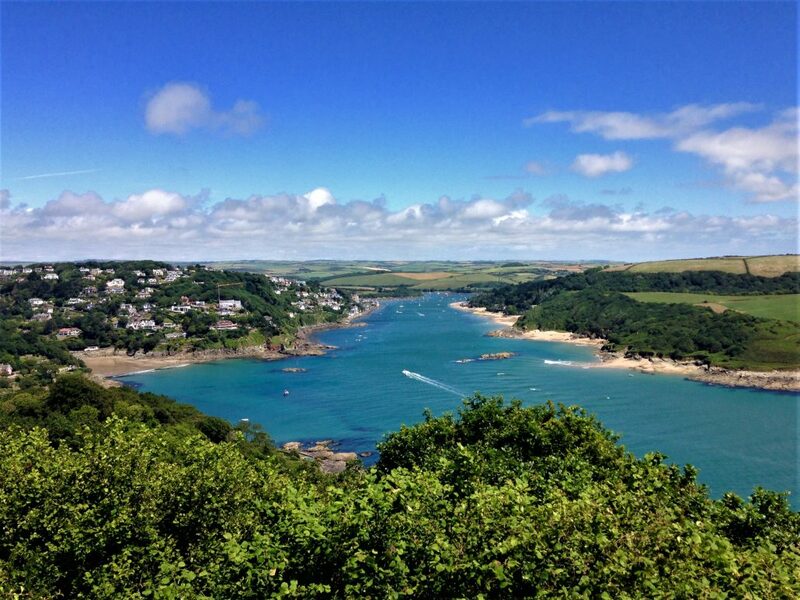 Enjoyed a boat trip to Salcombe for the day. 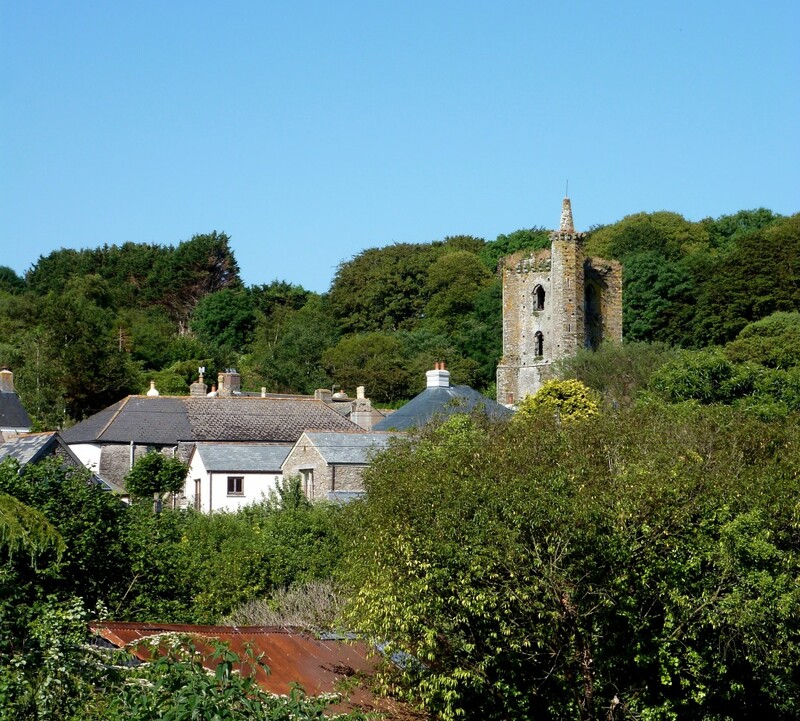 It was also interesting to do the guided tour around Start Point lighthouse. 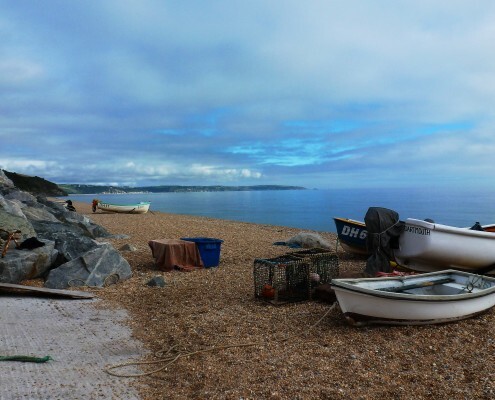 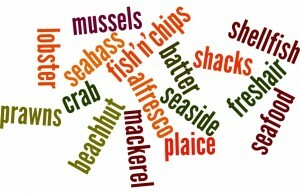 We enjoyed meals at the Queen’s Arms in Slapton, and the Start Bay in at Torcross. 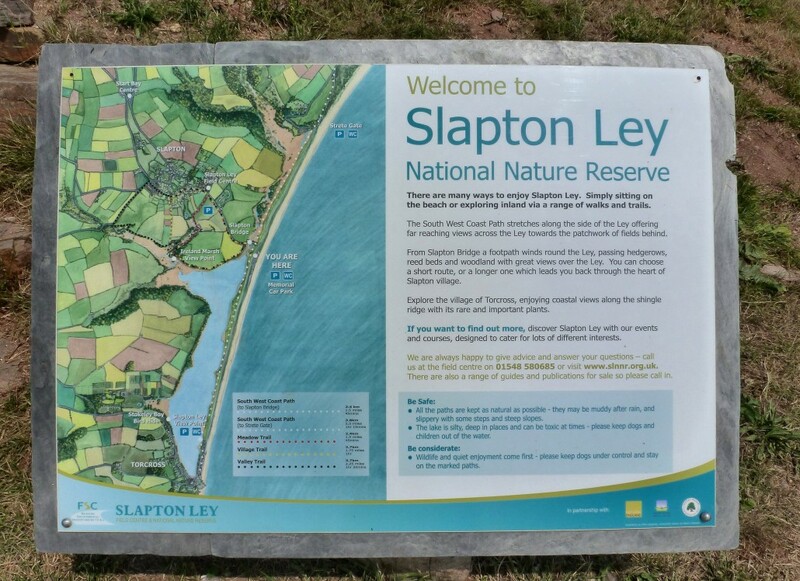 A walk around Slapton Ley Nature Reserve is well worth doing. 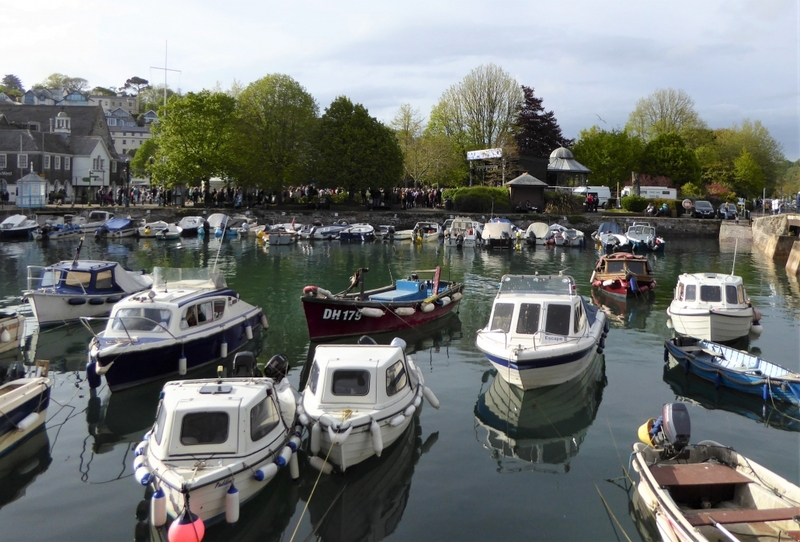 Beautiful area,highly recommend Dartmouth and Salcombe. 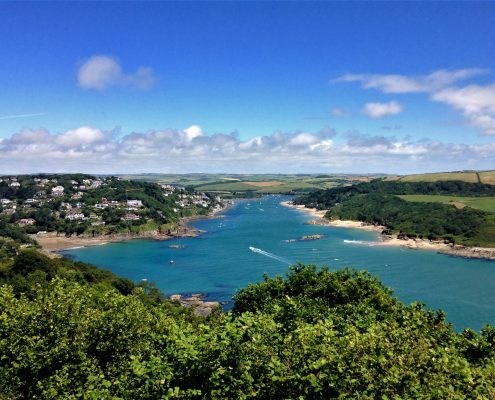 Overbecks at Salcombe is another lovely National trust property with stunnning views. 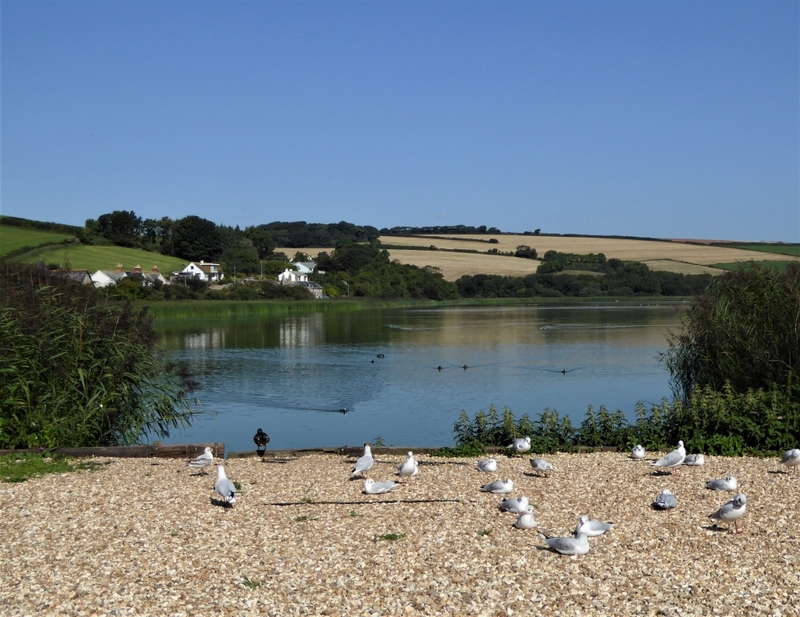 Slapton Ley nature reserve and beach.